It seems like there is a dog breed for everything. Some dogs pull sleds while other dogs make amazing seeing-eyed companions. 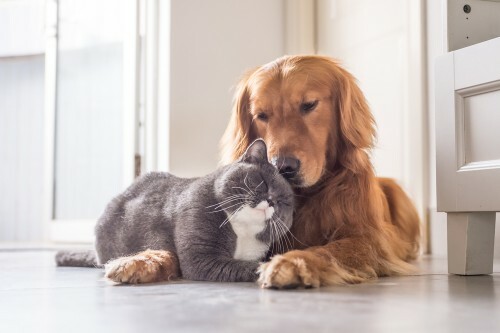 If you already have a cat or two in your home, you might be looking for dogs that get along with cats. 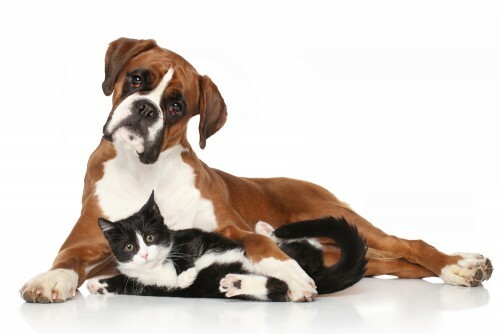 In general, dogs will get along with cats better if they are raised in a home that has cats. 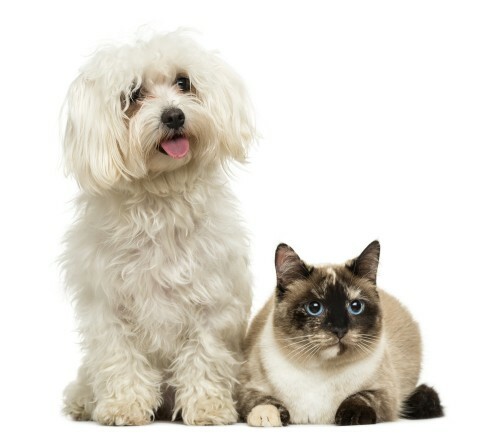 To boost your chances of having a cat-friendly dog, you can also check out some of the following breeds. This dog does not just get along with cats—it gets along with just about everyone. The Bichon Frise is known as one of the happiest dogs ever. It loves to socialize with other animals and people. This small dog is also a great choice for a pet because his fur sheds very, very little. It still needs to be brushed and trimmed to prevent matting and skin disease, but their coat is fairly easy to maintain. When you get a Bichon Frise, you get a dog who is simple to train. He loves games, so he will learn just about anything you teach him if it seems like a game. This puppy is fun to have in the house and is not known for barking a lot. There are a few things to watch out for with the Bichon Frise. Since this is a playful dog who loves to play, he needs a fairly active cat to keep up. If your cat prefers to sleep and is fairly laid-back, the cat might not be the ideal companion. 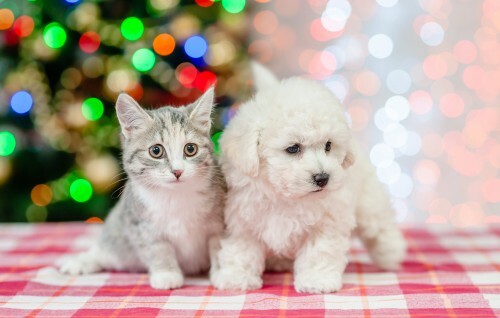 The Bichon Frise wants a cat to play with and to cuddle with, so an active kitty is best. When he isn’t cuddling the family’s cat, this family-friendly dog will be loving on just about everyone else in sight. If you have a young cat, this pup will certainly keep her occupied! In addition to being one of the most lovable dogs, this puppy is quite good with cats. 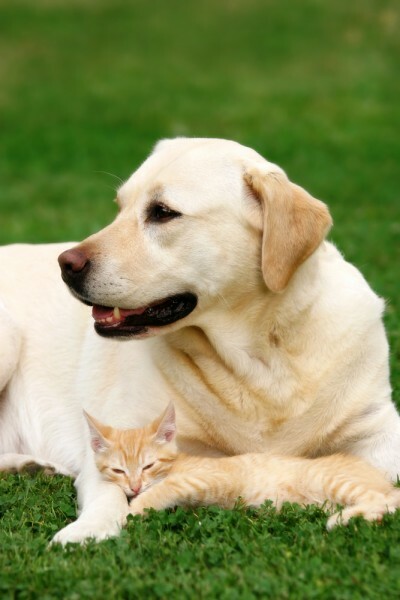 The Labrador Retriever loves to cuddle and play with his cat friends. This is especially true if the Lab is raised with cats from a young age. Plus, this pup is good with children. He does tend to gain weight when he doesn’t get enough exercise, so he will need a fairly active home. This is a fairly small dog, so it is a great companion for cats. Unlike the Bichon Frise, this dog likes its downtime. It will find its favorite spot, curl up and take a nap. Because of its size, this dog is an awesome lap dog and is great pet to have in a laid-back home. 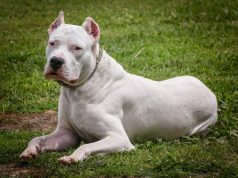 Keep in mind that he is not always the best breed for first-time owners. He might be relaxed and calm, but he does not play or hang out as much as other dogs. Because of this, the Maltese is an excellent companion for young and new cats alike. He is the type of dog who will leave the cat alone or join the cat for a long nap. This breed has a mild nature and gentle attitude, so he is a great companion to have. This gentle giant was originally bred to protect livestock. His instincts tell him to keep his livestock and family safe, so that is exactly what he does with his cats, kids and loved ones. This breed rarely has any problems with cats, and he gets along especially well with them if they were raised together from an early age. This cute pooch may have been bred to hunt, but he actually gets along quite well with cats. Inside the home, he will hang out and cuddle his kitten. When he is in the yard, be wary because he will chase the cat. 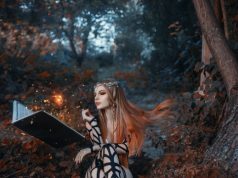 While Beagles are great pets, they are not the best dog for everyone. This dog might not bark a lot, but he can be very vocal with his howling. Plus, Beagles are not particularly good at training. Even when you have taught the Beagle to come to your whistle, he will steadfastly ignore you if he found anything at all that seemed more interesting. 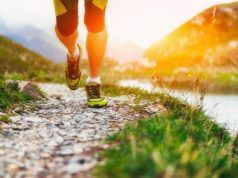 The Beagle also needs a fairly active home since he has a tendency to get overweight when he does not get enough exercise. This little puppy is absolutely adorable. He is ready to play and go anywhere as long as he gets to hang out with his family. 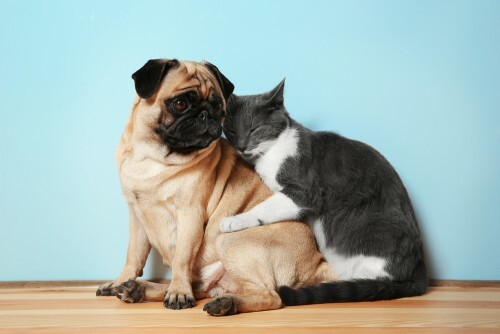 Pugs are a great size for playing with cats, and they tend to get along quite well with them. The Pug does like his attention though, so make sure that he gets his share of attention before you make him share his home. This is one of the most popular dogs in the United States. Part of the reason for that is because the Golden Retriever is phenomenal with children. He is also a great dogs with cats of any age. You will rarely see a Golden Retriever get too rough with a cat or kid in play. This dog is even better with cats if they are a part of his family from puppyhood. When it comes to guarding the family, the Golden Retriever is fairly terrible at it. He likes people, and he is not at all suspicious about strangers and uninvited guests. At the same time, this dog will be protective about the ones he loves, so he will protect his baby kitten or toddler friend when they are in need. The even better news is that this pup is excellent at obedience training. He is a friendly dog who loves to make you happy, so he will do anything you want as long as you show him the way. 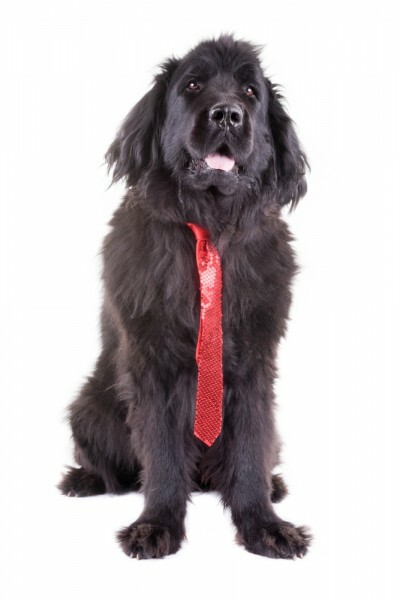 Known for being an excellent worker, this puppy is a great dog for families. Long ago, this adorable pet was created entirely to be a lap dog for noble women. Known as the butterfly dog, the Papillion was made to be a happy breed who loves to be with his or her owner. This puppy is quite good at adapting to new environments and tends to get along well with every member of the family. 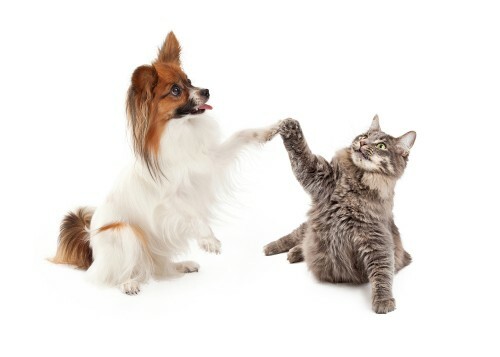 Because of this, the Papillion tends to adapt fairly quickly to having cats in their homes. This is a fairly small dog, so it is ideal for a cat’s playmate. He can wrestle and play around with the cat without ever causing her harm. Since he does have a lot of energy and loves to play, he works best with a cat who is somewhat active. Unlike other dogs on this list, the playful Boxer is also a fairly good guard dog. He will spot any sounds or movements and alert you to them. In addition to being one of the best dogs that get along with cats, this pup is easy to train and tends to listen to his commands quite well. He is a good family dog and loves to play with anyone or anything. 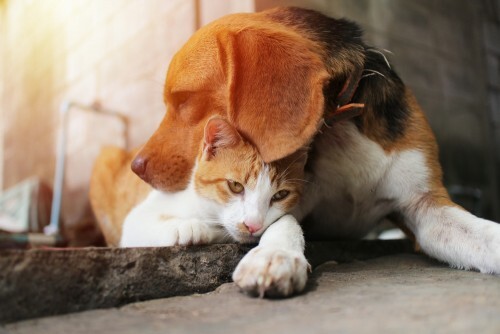 If you have a laid-back cat, the Basset Hound is one of the best dogs that get along with cats for your home. This dog is fairly lazy and relaxed. He is highly unlikely to chase a cat when he could take a nap instead. 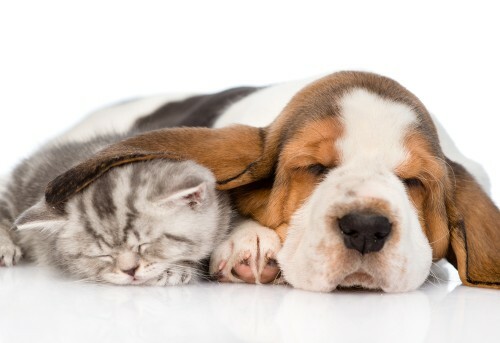 If your cat likes to cuddle, the Basset Hound will be more than happy to share his napping space with his cat friend.